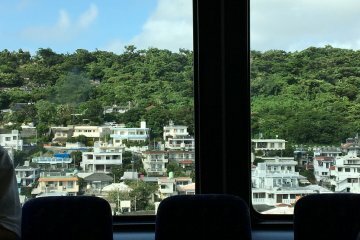 Mention "Okinawa" and the first thought that's likely to pop into your head is "sandy beaches" and then "tropical climate". 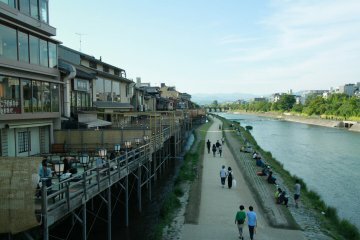 For most, cherry blossom viewing, or hanami, is not something they would associate with the southernmost prefecture of Japan. 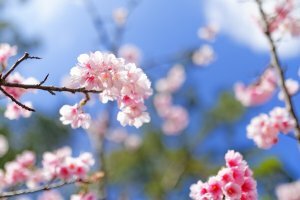 Yet at Okinawa, every spring heralds the beautiful blossoming of the Sakura trees which are the first to bloom in Japan around mid January. 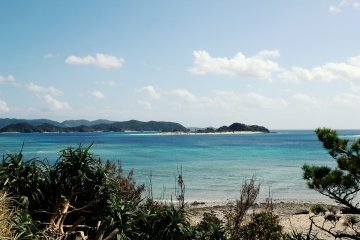 Because of the warm climate, they are also different than those in the other Japanese main islands. 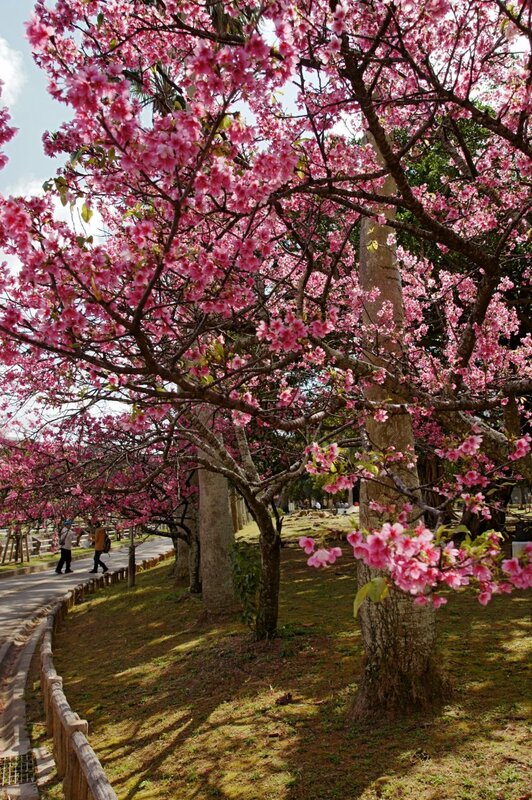 Okinawa's cherry blossoms - Kanhizakura - are darker pink and downward facing, very much like a cluster of bells. 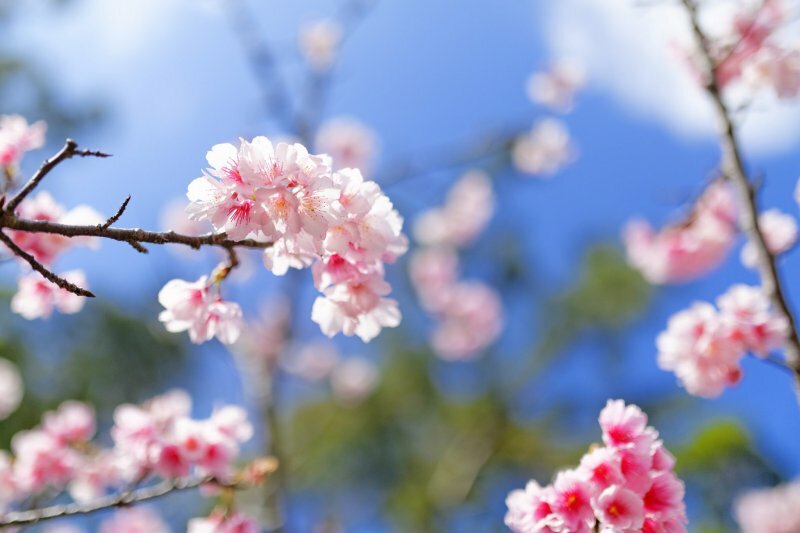 Visit Okinawa to catch the first wave of Sakura blossoms in Japan. Enjoy the convenience of the city and the beauty of cherry blossoms, all in one place at Yogi Park. 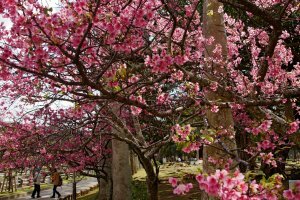 Situated only 15 minutes away on foot from Naha City's busy Kokusai Street, Yogi Park has 400 cherry trees that burst into bloom every spring, providing visitors a marvellous sight. 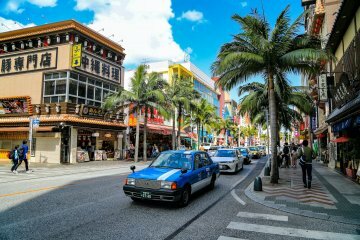 The park also boasts of a children's playground and palm trees are planted alongside the sakura trees here. Could hanami in the midst of castle ruins get anymore picturesque? 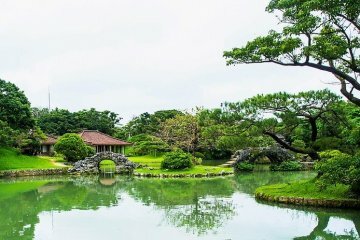 Sakura trees dot the UNESCO World Heritage Site Nakijin Castle ruins, making it an ideal place for a date. 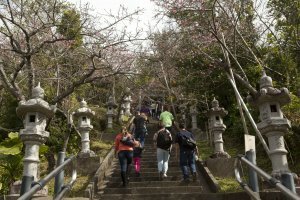 Bring your partner to the Nakijin Gusuku Cherry Blossom Festival to enjoy a day of cherry blossom viewing, where vendors sell food and souvenirs at the festival's main entrance. As dusk falls, the castle and lanterns lining the paths light up and dial up the romantic atmosphere, allowing visitors a stroll through the beautiful sakura down the ancient stone paths. 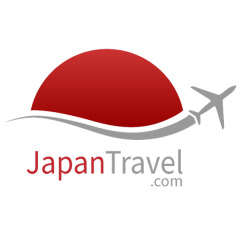 Imagine a spectacular sight of a mountain range being blanketed in the vivid pink of cherry trees. Visit Mount Yaedake and that is the view you'll be greeted with. The magnificent combination of mountain views with the sakura makes it hard to find a better cherry blossom viewing spot. 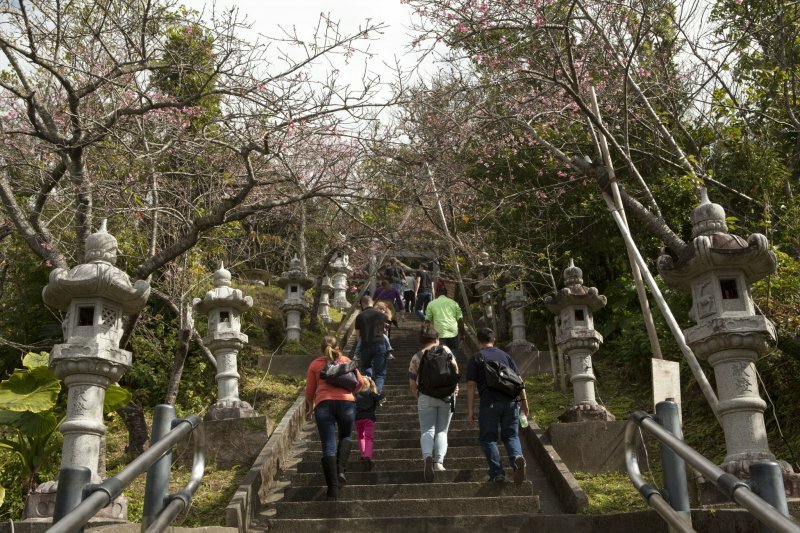 Trek up Mount Yaedake and be rewarded by the sakura trees flanking both sides of the road. 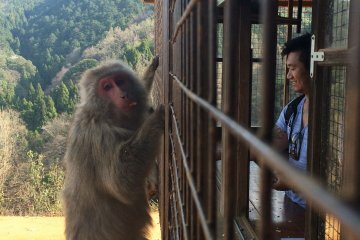 On the mountain there is a park where you can find food stalls, stage events and games during the Motobu Yaedake Cherry Blossom Festival. 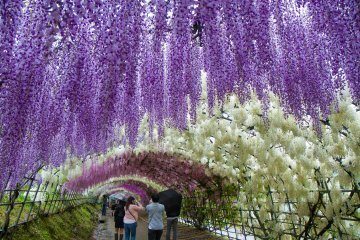 If you missed the Nago Cherry Blossom Festival, but you're still in time for sakura season, simply go to Nago Central Park and spread out your picnic mat under the pink blossoms to hanami and wine and dine with your loved ones. The park also houses a huge playground which children will love.